Courts are tackling historically low jury-duty turnout and addressing unconscious bias, but serving taught me there's more we can do. The first thing I did when I reported for jury duty at the King County Courthouse in July was scan the jury-pool waiting area for faces like mine. There weren’t many, and I sat there dogged by a question I hated myself for asking: Would I want to be judged by a jury of my “peers” if those peers came from this room? It turns out I had good reasons to be concerned. The courts recognize this too. I got called in on a civil trial but didn’t make the final cut of 12 jurors who’d sit for the trial. But the selection process proved valuable anyway. Fair civil and criminal trials rely heavily on the ability of people from different backgrounds to hear two sides of a dispute with an open mind, think clearly about the details of the case and decide, as a makeshift community, issues of liability, monetary damages, guilt and innocence, and in the most extreme cases, life and death. It’s an extremely tough task. The truths that come out during this process can go deep. Attorneys for both sides, along with presiding Superior Court Judge Sandra Widlan, surveyed us not just about past experiences that might affect our ability to give the two sides a fair hearing. Our personal attitudes, our world views and our sense of fairness were all fair game. Confessional, achingly intimate details came out as several jurors were asked to explain why they might have a hard time deciding the case, which would involve setting a dollar figure on damages for a vehicle-pedestrian collision. The defendant had already admitted fault. Our job would be to assign a dollar figure to the pain and suffering, physical and psychological, of the pedestrian who was struck. Before we were assigned to Widlan’s courtroom for examination, we were shown an “unconscious bias” video that explained that we all come to situations full of assumptions. We may not be aware of those assumptions in the moment, and that can influence our views of others and our behavior toward them, sometimes for the worse. I recently spoke to Superior Court Judge Cathy Shaffer about what it takes to make an adequate jury and she told me about efforts by the courts in King County and statewide to address social-justice and equity issues in courtrooms, all to make the justice system more fair and more aware. She said most people who sit before her in the jury pool want to think they’re good, fair-minded citizens and that in her experience, jurors are remarkably serious and engaged. “It’s offensive to be told you’re biased,” said Shaffer, who heads up a jury committee among her colleagues. But the truth is, no one is free of biases. That doesn’t just go for jurors, though. Justice cannot be blind when the judges who preside over our courtrooms and the attorneys who represent parties during trials act on biases, she said. This spring the Washington state Supreme Court adopted a rule aimed at eliminating racial bias, both deliberate and implicit, in all jury trials in the state, both civil and criminal. Historically, it has been all too easy for attorneys to block people of color in particular from serving, not just directly but indirectly by giving questionable reasons for rejecting potential jurors. 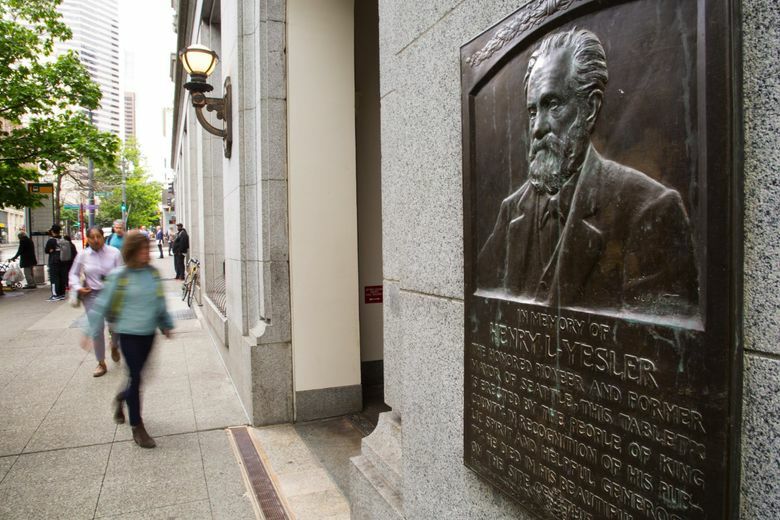 Poor response poses another threat to the “jury of one’s peers” idea: Of the 72,709 people who were summoned to jury duty in King County Superior Court at the downtown Seattle and Kent locations last year, only 17,488 showed up, Superior Court Judge Jim Rogers told me. As of the end of August, 85,575 people had been summoned in 2018; only 14,563 reported for service. Judges have tried to make serving easier in recent years by shortening jury-duty requirements, among other things, but the courts can further ensure truly representative juries by addressing financial hardships too. My employer paid me regular hours during my service. Many workers aren’t so lucky. Of course, there are those of us who think jury duty is simply a chore to avoid. The courts, and we citizens, should do more to ensure that “jury of your peers” really means something. Justice must be blind, but also inclusive.